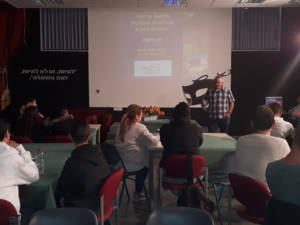 An interdisciplinary integration in the Science & Engineering Curriculum of the Sci Tech Ben Gurion Comprehensive High School in Afula has led to the creation of a new subject matter in school: Precision Agriculture, a new study programme developed by the Sci Tech Research & Development Center. 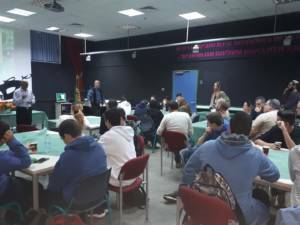 As part of its innovative agenda, the Science & Engineering Study Programme initiates collaborations with other innovative programmes, to enhance the choice of topics and specializations for its students. This new specialization was co-created with the school’s Photography Programme. The Precision Agriculture Programme focuses on the scientific, technological and social aspects of modern agriculture. 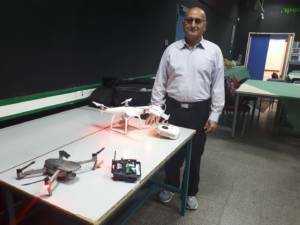 In the framework of this course of studies, students of the Science & Engineering Programme are introduced to cutting-edge technologies in the fields of aviation, satellites, photography, and analysis of topographical and geographical maps obtained from drones and satellites. The aim of this multidisciplinary agenda is to foster the students’ interest and curiosity towards the study of STEM-related subjects, and at the same time to raise their awareness to, and involvement with, challenging ecological issues such as agriculture. As part of the study programme, some fifty tenth-graders from the school will work voluntarily, guided by students of the Science & Engineering Programme, in supporting and assisting the agricultural community surrounding the school. 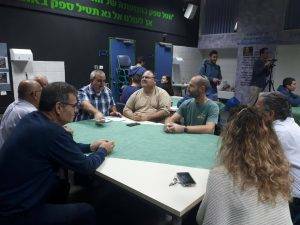 This initiative is part of the European Union’s OSOS (Open Schools for Open Societies) Project, led in Israel by the Sci Tech R&D Center in collaboration with the Bloomfield Science Museum in Jerusalem. The programme aims to provide useful information, data and agricultural parameters focusing on field crops, covering topics such as weed growth, fertilization, plants and microbes, mapping crop fields, and more. This data will be obtained through advanced technological equipment, such as drones and cameras. Furthermore, the students will collect the accumulated data, analyze it, and deliver it to the farmers. The project is led by the school’s principal, Mrs. Iris Krel, who says that the ability to combine the needs of modern agriculture with the benefits of science and technology will provide us with a two-fold gain: profound and meaningful learning by the students, as well as real engagement of high school students in developing technologies for their local agricultural ecosystem.